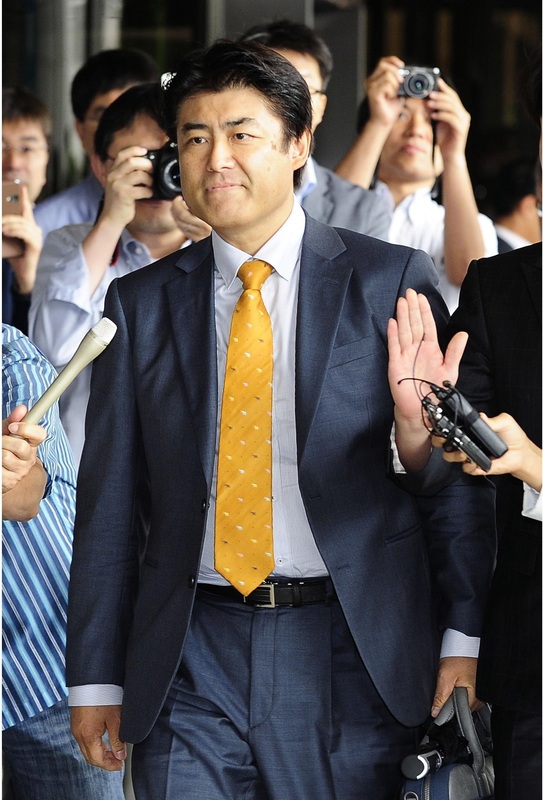 SEOUL - The Seoul bureau chief of the daily Sankei Shimbun appeared Monday at the Seoul Central District Prosecutor’s Office after being summoned over the alleged defamation of President Park Geun-hye. Tatsuya Kato arrived at around 11 a.m. and entered with a defense lawyer and translator. The questioning was expected to focus on whether an article written by Kato, 48, defamed Park. The office has issued a travel ban on Kato. A conservative civic organization filed a defamation suit against the bureau on Aug. 9 for the article, which was carried in the online edition of the conservative daily on Aug. 3. 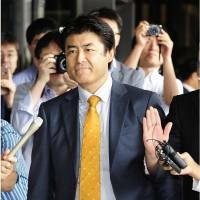 Citing rumors in the stock brokerage industry and a South Korean newspaper, Kato suggested in the article that Park, who is single, was not at the presidential office during a seven-hour period on the day in April when the Sewol ferry capsized off the country’s southwest coast and may have been secretly meeting with a recently divorced former aide. Around 300 people perished in the accident. The presidential office has dismissed the rumors and the article. Sankei Shimbun said in a statement that its report was based on information contained in statements made in South Korea’s National Assembly and in a column in a South Korean newspaper. The questioning by South Korean prosecutors of a Japanese journalist over reporting activities was the first since 1993, when the then-bureau chief of Japan’s Fuji Television was arrested by prosecutors on suspicion of receiving classified military intelligence from a South Korean naval intelligence officer. He was convicted and deported the following year.